Girls’ squash has enjoyed a successful season this year. Players Renee Chan (IV), Rachel Chen (VI), Mahek Hemani (III), and Alisa Chokshi (V) led the team to a final placement of eleventh at High School Squash Nationals. Each player on the team had great records. Some outstanding records were held by Chen, who finished the season at 4-2, Hemani, who finished at 5-1, and Lauren Drzala (III), who finished at 2-2. The team played multiple matches over the course of their season, winning against schools Blair Academy 5-2 and 7-0, Poly Prep 5-2 and 7-0, SCHA 5-2, and Penn Charter 4-3, and losing to Lawrenceville 1-6, Greenwich Academy 0-7, and Choate Rosemary Hall 3-4. The team traveled to Philadelphia for the High School Team National Championships seeded 16th, the bottom of Division 1. However, with great effort and skill, they were able to walk away with the eleventh-place title. Individuals Chen and Chan competed in the NJ High School Squash Championship on January 7, with Chan walking away with the win. 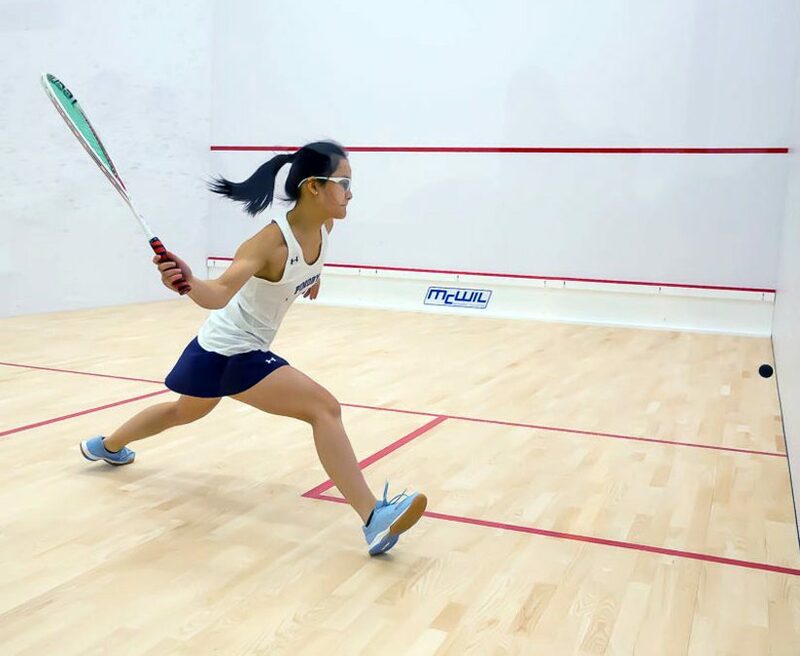 Both Chen and Chan competed at US Squash Junior Nationals last year with teammate Alisa Chokshi; their success further demonstrates the aptitude of the team. While captains Chen and Namita Davey (VI) will be leaving this year, the team is sure to continue to produce exceptional performances in the years to come. Boys’ squash had a successful season this year, boasting a 6-0 record. Players Krish Bhavnani (VI), Chris Zachary (V), Collin Wen (IV), Alex Chiang (IV), Jeffrey Xiao (V), Waleed Nisar (IV), and Jason Lefkort (III) were this year’s members of the varsity team, which placed fifteenth at High School Nationals. Some outstanding records were held by Zachary, who maintained 5-2; Wen, who upheld 6-1; Chiang, who ended at 5-2; and Xiao, who finished with 4-3. 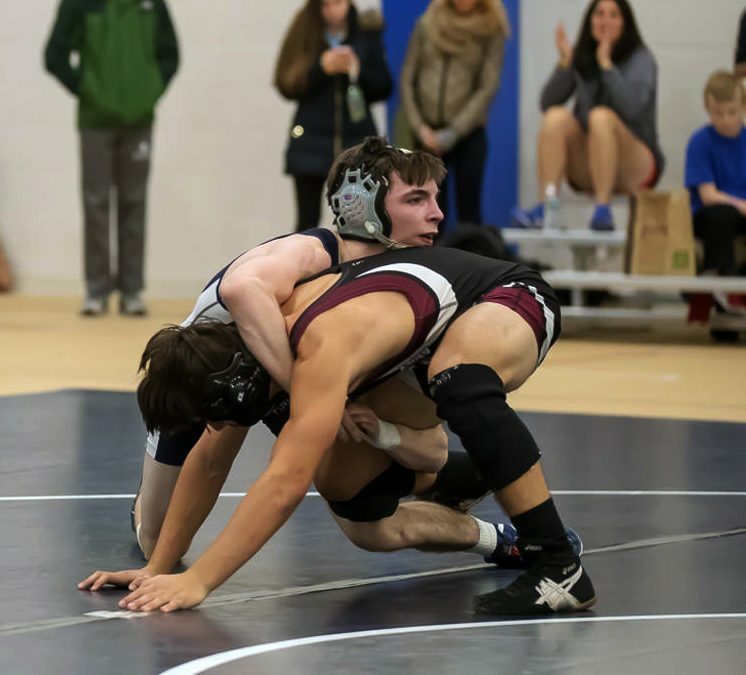 The team dominated many matches this season, winning against Blair Academy 7-0 twice, Princeton Day 7-0, Poly Prep 7-0, Rumson Fair Haven 7-0, Delbarton 7-0 and 5-2, Milburn 6-1, Lawrenceville 4-3, and Shipley 5-2. Pingry lost to SCH 2-5, Haverford 0-7, and Brooks School 3-4. The team traveled to Philadelphia for the High School Team National Championships seeded sixteenth going in, and, as stated earlier, they left the competition placing fifteenth. 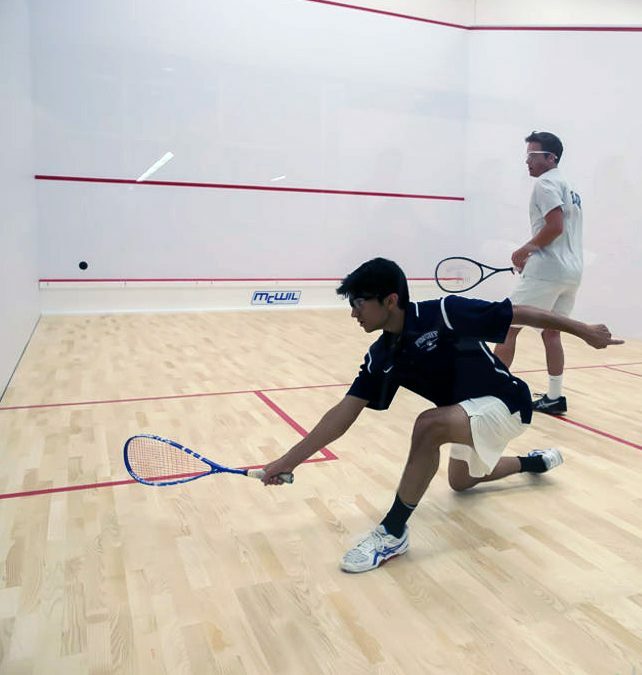 During the season, Bhavnani and Zachary competed in the NJ High School Squash Championship on January 7, with Bhavnani walking away with the win. Bhavnani claimed the team’s sixth consecutive win of the championship title by winning 3-1 over Zachary. Though Bhavnani will be leaving this year, the team will keep their sights on a seventh consecutive win and aim to continue performing exceptionally in the years to come. The girls’ winter track team has had a remarkable season. The team came in third place at the State Relay Championships, second place at the Skyland Conference championships, and tied for first at the Prep State championships. 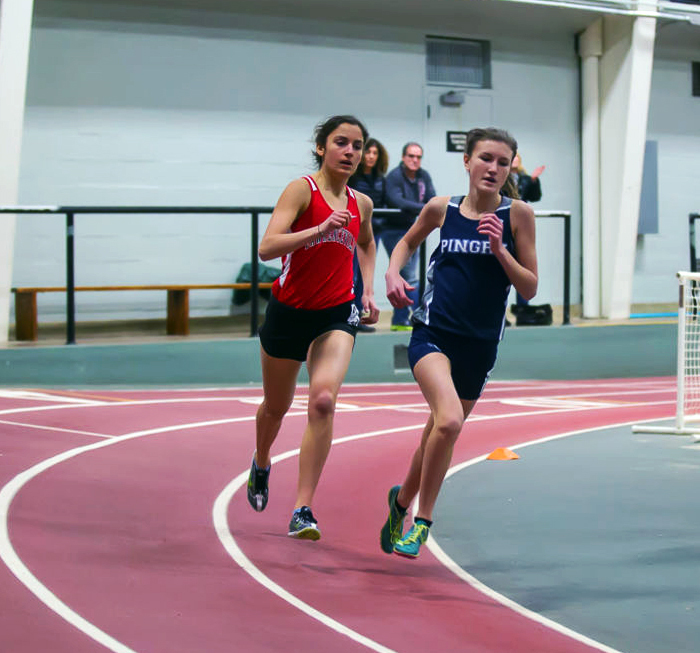 In addition, the team had three first-place finishes at the Varsity Classic Meet from Nikki Vanasse (IV) in the 1600 meters, Ryan Davi (III) in the 800 meters, and Caroline Dannenbaum (IV) in the pole vault. Coach Chris Shilts commented on the team’s achievements, explaining “We come from a lot of different angles.” He also credited the success to good leadership from captains Anna Wood (VI) and Avery Schiffman (VI). The boys’ winter track team has had a great season this winter. The team came in second place at the State Relay Championships, a significantly better showing than that of last year. The team also came in third place at the Prep Championships, another big step up. Vazquez has had some incredible races in the 800 meter. 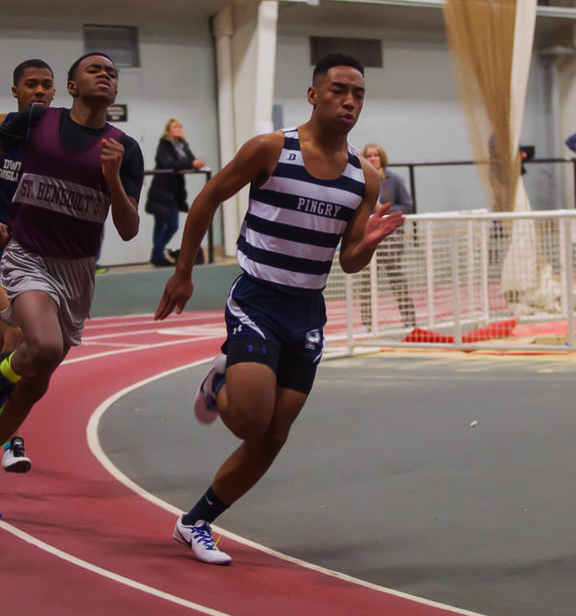 Additionally, Tyler Williams (VI) and Henry Wood (III) excelled in the 400 and 1600 meter races respectively. Looking forward to next winter, Mr. Shilts said he wants to “get more boys out next year” and focus more on commitment to the team. After coming back from winter break with a 1-6 record, the wrestling team made a strong comeback, bumping their record up to 10-9. One big accomplishment of this season was winning the Rutgers Prep tournament. The team also celebrated Brandon Spellman (V) as their first county champion in over a decade. The team’s “technique, conditioning, and toughness have improved all season long, thanks to dedication and discipline,” Head Coach George Sullivan said. This attitude was evident in their match against Manville. Though the team lost 30-40, they “battled through every bout and set the tone for the rest of the season. We were battling injuries and had a string of losses, but the team put that behind them and gave it everything they had anyways,” Mr. Sullivan said. With a 16-6 record, the girls’ basketball team has played a strong season this year. Despite graduating three seniors last year, many players are “stepping up and developing their roles,” Head Coach Ms. Courtney Tierney said. 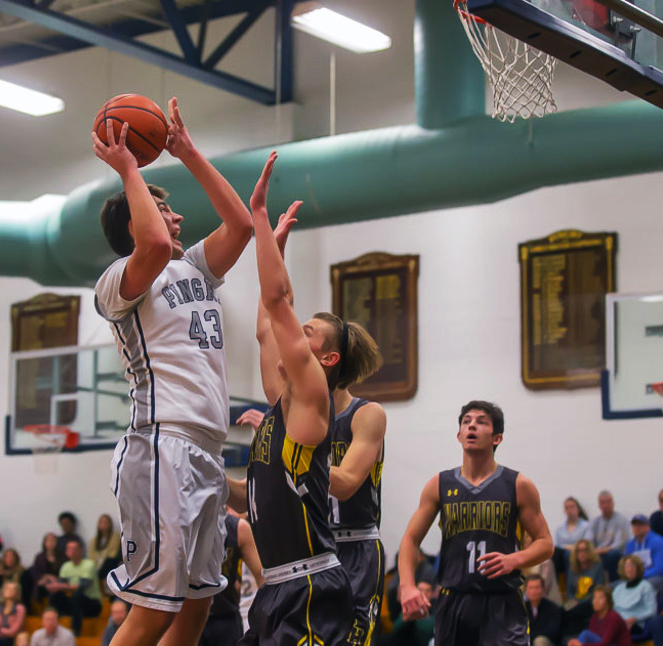 One outstanding game this season was against Peddie. With a final score of 68-53, the team played with “tremendous heart and focus,” Ms. Tierney said. “Our hustle and the pace in which we played and scored was amazing.” The team has also won games against Voorhees, Mount St. Mary, Somerville, Warren Hills, North Plainfield, and Hillsborough. The team continued playing well at the County and Prep Tournaments. The boys’ basketball team has had an eventful season this year, maintaining a 4-17 record. The team has had many notable individual accomplishments throughout the season. In a close match against district rivals Belvidere, captain Michael Weber (VI) scored his 1000th point this season, a spectacular feat for any high school basketball player. In addition, Nate Hefner (V) “scored a buzzer beater when they were one point down against Belvidere,” Head Coach Mr. Jason Murdock said. Overall, Mr. Murdock says the team “had a great cohesiveness, good work ethic, and a level of competitiveness.” For the next season, he plans to build more teamwork by taking the team to summer training camps and playing in summer leagues. He would like to develop a greater sense of urgency towards development and commitment, though he is proud of the direction the program is going in. The co-ed ski team has enjoyed a fantastic season this year. 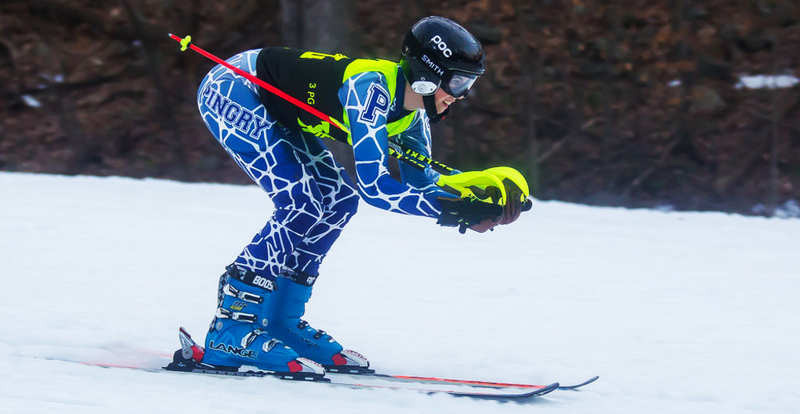 Led by Head Coach Julianne Coxe and Captains Lindsey Hogan (VI), Nick Ladino (VI), Annie Leithead (V), and Conor Mahoney (VI), the team has been working hard both in the weight room and on the slopes to prepare for their races. The team ended up qualifying for States, where they secured 5th place in New Jersey. Led by Head Coach Steve Droste and Captains Billy Fallon (VI) and Victor Vollbrechthausen (VI), the boys’ varsity swim team has had a record-breaking season, flaunting an undefeated 7-0 record. The team has enjoyed considerable success in the pool during their regular season, captured best by their impressive 119-51 victory over longtime rival Bridgewater-Raritan. Currently in the midst of their championship season, they have continued to demonstrate their dominance, winning the Skyland Conference Championships, the Somerset County Championships, and most recently, the NJISAA Prep Championships. At the NJSIAA Non-Public “B” Semifinals, the team secured their 11th consecutive state title. 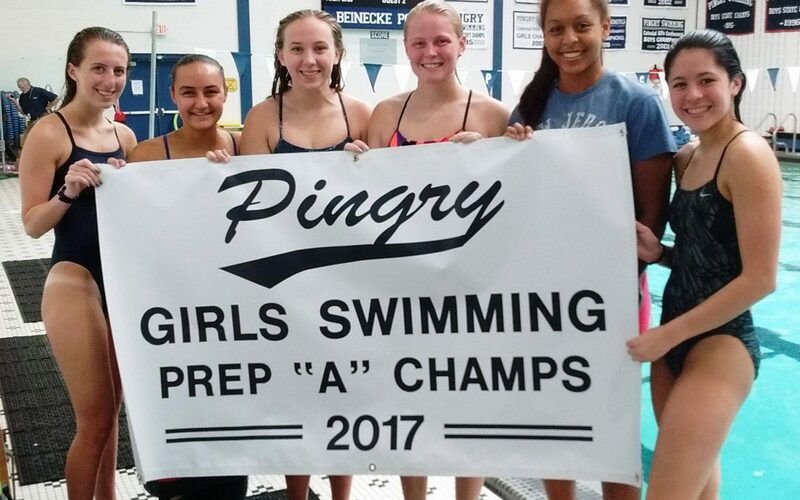 Led by Head Coach Deirdre O’Mara and Captains Naiyah Atulomah (VI) and Kassidy Peterson (VI), the girls’ swim team has raced their way to a 6-2 record in the regular season. The team has excelled in invitational meets, where they compete against up to twenty different teams. The swimmers are not only flourishing in the pool individually but are also thriving as a team as well. Despite graduating several seniors last year and introducing many new freshmen, the team has become very close over the course of the season. “We have built a strong bond and have created many great memories together as a team,” Peterson added. The team used their talent and team spirit to reach the Non-Public “A” State semifinals. 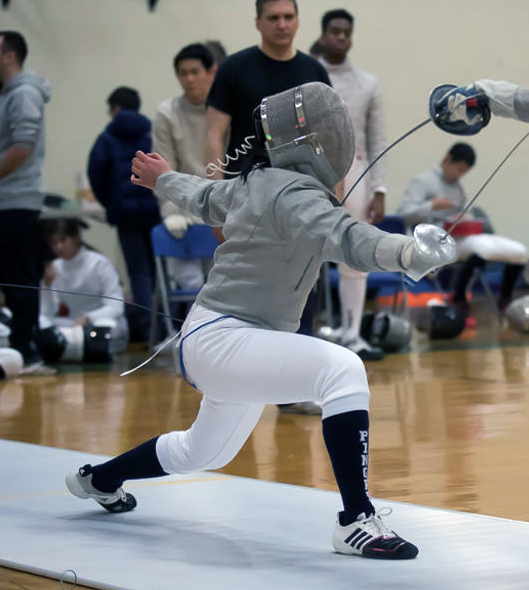 The girls’ fencing team is closing up their regular season with an even 5-5 record. Despite their losing record, the team was extremely successful at the District Tournament. They were the champions of District Three, with the épée squad winning first place and the foil squad coming in second. By coming in first at Districts, the girls’ fencing team qualified for the Sweet Sixteen Tournament. They made it to the top eight after beating Millburn and losing to Columbia. However, the girls’ épée and foil squads have yet to compete in the upcoming Squad States. 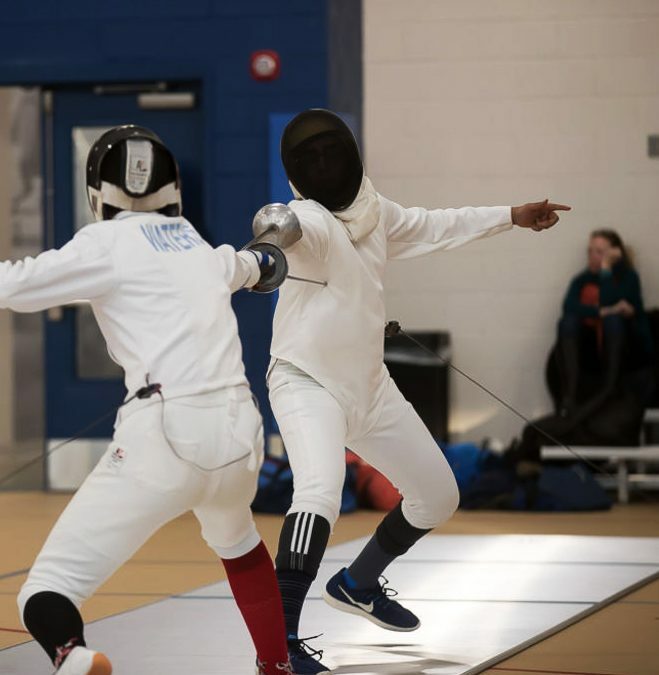 The boys’ fencing team has enjoyed a relatively successful season so far this year. The boys ended the season with a record of 7-5. At Districts, the boys placed third overall and their sabre squad won first. After that impressive showing, the team qualified for the Sweet Sixteen Tournament. This is a very significant achievement, as the team has not competed in Sweet Sixteen for many years. The sabre team had their final competition at Squad States. All in all, the boys are wrapping up one of their most notable seasons in a long time and hope to continue the success next year. 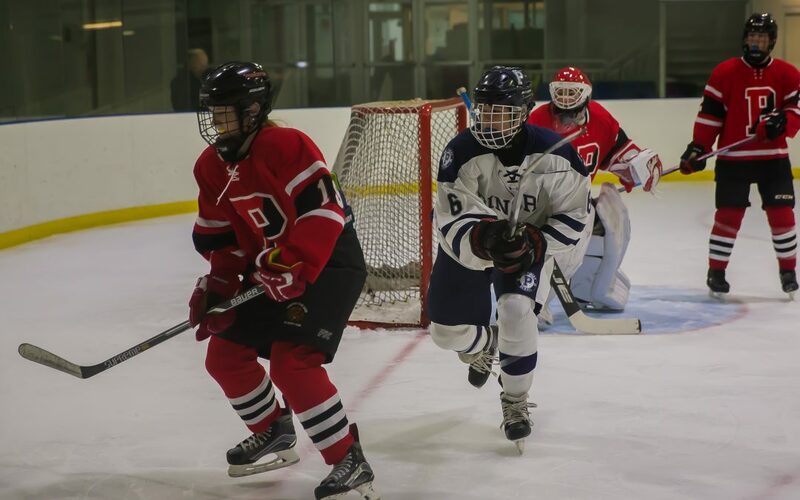 The girls’ ice hockey team, led by captains Caroline Petrow-Cohen (VI) and Emma Lombardo (VI), has upheld an even 8-8 record this season as they head into the League Tournament. The team has had many impressive individual showings as well. Emma Barrison (IV), who had never played ice hockey before the season began, became one of the top four goalies in the state. 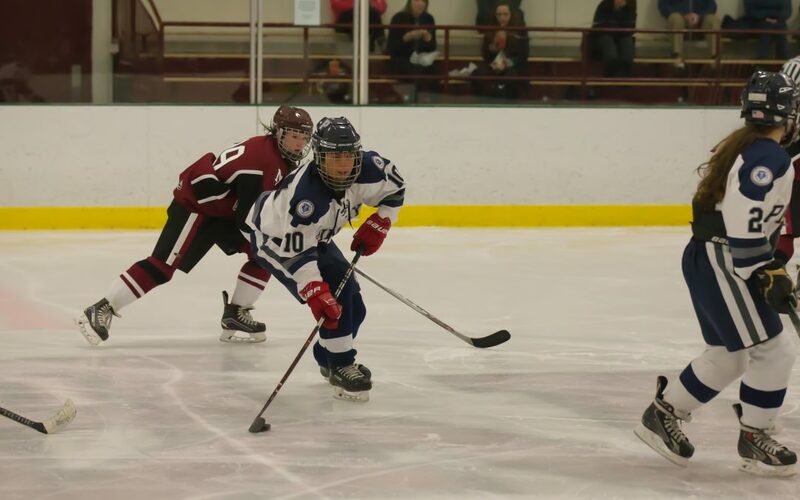 This year is the team’s last year in WIHLMA, or Womens’ Ice Hockey League of the Mid-Atlantic. Next year, they will join a more local league consisting of teams including those from Oak Knoll, Westfield, and Cranford. The boys’ ice hockey team, led by captains George Enman (VI) and Austin Parsons (VI), has had an outstanding season this year, boasting a 15-6-1 record. 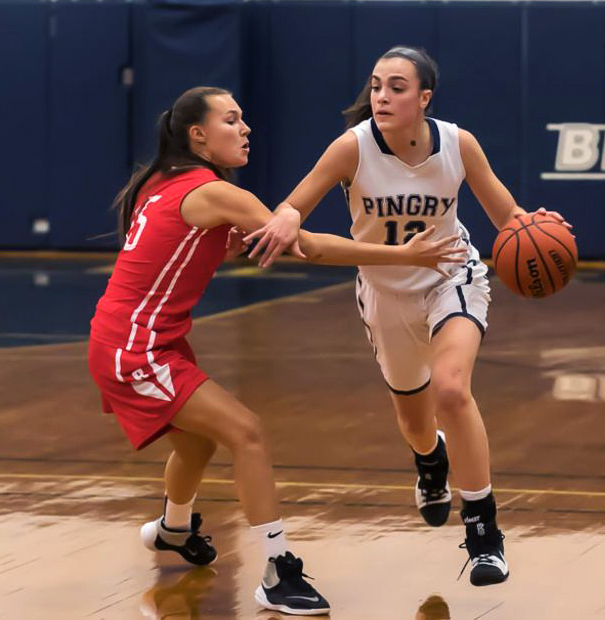 Pingry is seeded second in the tournament only to Ridge High, a team to which they have lost by close margins twice this season. After Counties, the team headed to the Skyland Cup Tournament, where they made it to the semifinals to play against Hunterdon Central. The team had an overall great showing to end the season. The Foreign Affairs Club is new to Pingry this year, founded in the fall by Aditya Gollapudi (V), Jackson Lubke (V), Kevin Ma (V), and Varun Seetamraju (V). The club aims to educate students about foreign conflicts, issues, and developments that are covered less frequently in the news due to the fact that they do not necessarily concern the United States. Every week, the club has a member present on a topic relating to international affairs. Each presentation is followed by a discussion. Lubke says that the structure of the Foreign Affairs Club was inspired by Journal Club. He co-founded the club in hopes of “involving students and reaching as many people as possible” in this subject matter. A tenet of Foreign Affairs Club is a strong focus on accuracy regarding the information being reported. How did you come up with the idea of the Foreign Affairs Club? Lubke: The idea for the club came about when the four founders (Aditya Gollapudi, Kevin Ma, Varun Seetamraju, and myself) realized that many Pingry students were unaware of conflicts outside of the United States. We wanted to help people understand the basics of the world outside of their borders. What makes for a good presentation in your club? Seetamraju: A good presentation is essentially made up of two parts. Background information for the conflict or situation and then a deep analysis of the current situation, including where the presenter, in their own opinion, sees it going forward. I feel like this format of first explaining how we got to this point in a conflict is crucial as it gives you a sense of the geopolitical atmosphere. After that, we encourage the presenter to give their own analysis on the situation. It’s very easy for someone to do a Google search or read a Wikipedia article on a conflict, so we try to offer a different perspective on top of that to allow people to understand the situation more deeply. Nothing in foreign affairs is black and white. There is always nuance. How does Foreign Affairs Club differ from other political clubs, such as Pingry Politics? Lubke: This club is different from other clubs in that it encourages students to actively participate in discussions through a moderated conversation. We emphasize accuracy and correct information in our debates; we aim to be unbiased and ensure that every presentation has a variety of sources from all sides. Tell us about one presentation you hosted this year that was particularly interesting. Seetamraju: I think the most unique and, in my opinion, most interesting presentation we hosted this year was our last one, in which Jackson talked about possible conflicts that could erupt in 2018. Usually our presentations go in-depth on one specific topic, but in that presentation, Jackson covered many topics, many that were rather under the radar, and how those skirmishes could explode to a large scale conflicts. For example, I never knew about how weak Pakistan’s defenses were on their nuclear arsenal or how likely a terrorist organization, such as ISIS, could take over.